Nowadays, being “wireless” is without a doubt one of the signs of quality for innovative lighting designs. After all, wirelessness is fundamentally consistent with the demand cultivated in our time that mobility be possible anytime, anywhere. 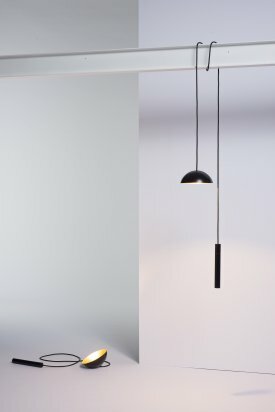 To this extent, Simon Diener’s lamp Pong appears somewhat conventional at first, considering that the cable represents a substantial component of the lamp’s overall arrangement. This cable, however, does not end in a plug – and subsequently in a static grid – but rather in an elongated cylinder housing a powerful battery that simultaneously serves as a counterweight to the lighting element. 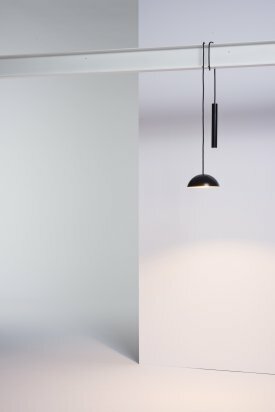 In short, Diener’s lamp does meet all the needs propagated by wirelessness; but instead of setting, laying, or standing, this feature is instead realized through mobile hanging, anywhere. 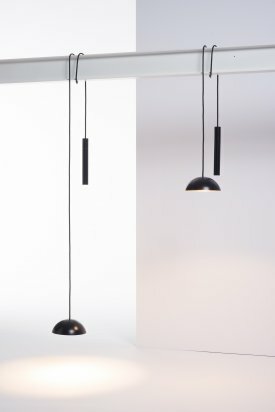 Diener has therefore not only defined the cable as a power line, but above all as a mechanical part, i.e., a rope that allows you to loosely drape the lamp across banisters, suspend it from wood beams, sling it across furniture, or wherever else you like.